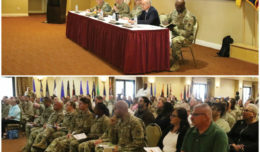 FORT IRWIN, Calif. — What is more fun than spending a few hours with a group of encouraging and enthusiastic army spouses? 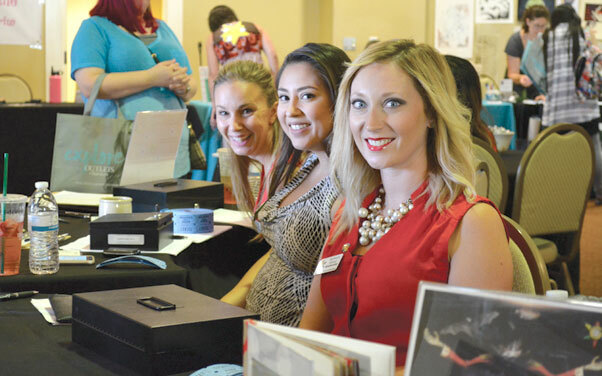 On Aug. 16, the Military & Civilian Spouses Club of Fort Irwin held their 2018 Super Sign-Up event. With 48 vendors and 12,800 square feet of space, the MCSC was able to transform the Sandy Basin Ballroom into a destination not only for shopping locally for products but also your potential new best friend out of the 94 new members who signed up that day. The goal of the spouses club is to foster long-lasting friendships and give back to the Fort Irwin Community. At the Super Sign-Up Event, you are able to not only sign up for the spouses club but also for their many Sub-Clubs. Some of the Sub-Clubs this year include Babbling Bookends, Spirits of the Desert (beer & wine club), and Bunco. The Sub-Clubs meet as often as the members choose. 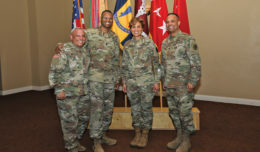 The MCSC meets once a month for an exciting luncheon. At each luncheon, you will enjoy the electrifying theme for the month, take part in club business and enjoy marvelous food with your new friends. Coming up, on Sept. 13, a Scavenger Hunt will take place along with the luncheon and on Oct. 13, there will be a Carnival Event taking place at the Sandy Basin Ballroom for their fall fundraiser. Do not fret if you were not able to attend the event to sign up, you can log onto their website for an application (www.mcscftirwin.org/). 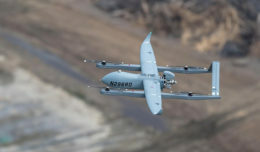 Also be sure to follow them on Facebook for the most up-to-date announcements (www.facebook.com/MCSCFtIrwin/). MCSC is also the organization that runs the thrift store here on post. Everything that is donated, is cleaned up and resold here locally. In the first three quarters of 2018, the thrift store has contributed more than $56,000 to fund community grants and scholarships to the Fort Irwin Community. Aside from the thrift store, with its silent auctions and fundraising events, MCSC provided $1,500 in scholarships and $29,936.88 in spring community grants. According to the 2nd Vice President, Oliva Templeton, “We are reaching out to new resources with the hopes of providing more for the community”.